Born in Westmoreland County, Va., on Feb. 22, 1732, George Washington was the eldest son of Augustine Washington and his second wife, Mary Ball Washington, who were prosperous Virginia gentry of English descent. George spent his early years on the family estate on Pope's Creek along the Potomac River. His early education included the study of such subjects as mathematics, surveying, the classics, and "rules of civility." His father died in 1743, and soon thereafter George went to live with his half brother Lawrence at Mount Vernon, Lawrence's plantation on the Potomac. Lawrence, who became something of a substitute father for his brother, had married into the Fairfax family, prominent and influential Virginians who helped launch George's career. An early ambition to go to sea had been effectively discouraged by George's mother; instead, he turned to surveying, securing (1748) an appointment to survey Lord Fairfax's lands in the Shenandoah Valley. He helped lay out the Virginia town of Belhaven (now Alexandria) in 1749 and was appointed surveyor for Culpeper County. George accompanied his brother to Barbados in an effort to cure Lawrence of tuberculosis, but Lawrence died in 1752, soon after the brothers returned. George ultimately inherited the Mount Vernon estate. By 1753 the growing rivalry between the British and French over control of the Ohio Valley, soon to erupt into the French and Indian War (1754-63), created new opportunities for the ambitious young Washington. He first gained public notice when, as adjutant of one of Virginia's four military districts, he was dispatched (October 1753) by Gov. Robert Dinwiddie on a fruitless mission to warn the French commander at Fort Le Boeuf against further encroachment on territory claimed by Britain. Washington's diary account of the dangers and difficulties of his journey, published at Williamsburg on his return, may have helped win him his ensuing promotion to lieutenant colonel. Although only 22 years of age and lacking experience, he learned quickly, meeting the problems of recruitment, supply, and desertions with a combination of brashness and native ability that earned him the respect of his superiors. In April 1754, on his way to establish a post at the Forks of the Ohio (the current site of Pittsburgh), Washington learned that the French had already erected a fort there. Warned that the French were advancing, he quickly threw up fortifications at Great Meadows, Pa., aptly naming the entrenchment Fort Necessity, and marched to intercept advancing French troops. In the resulting skirmish the French commander the sieur de Jumonville was killed and most of his men were captured. Washington pulled his small force back into Fort Necessity where he was overwhelmed (July 3) by the French in an all-day battle fought in a drenching rain. Surrounded by enemy troops, with his food supply almost exhausted and his dampened ammunition useless, Washington capitulated. Under the terms of the surrender signed that day, he was permitted to march his troops back to Williamsburg. Discouraged by his defeat and angered by discrimination between British and colonial officers in rank and pay, he resigned his commission near the end of 1754. The next year, however, he volunteered to join British general Edward Braddock's expedition against the French. When Braddock was ambushed by the French and their Indian allies on the Monongahela River, Washington, although seriously ill, tried to rally the Virginia troops. Whatever public criticism attended the debacle, Washington's own military reputation was enhanced, and in 1755, at the age of 23, he was promoted to colonel and appointed commander in chief of the Virginia militia, with responsibility for defending the frontier. 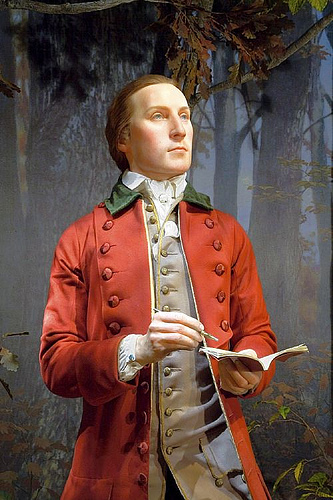 In 1758 he took an active part in Gen. John Forbes's successful campaign against Fort Duquesne. From his correspondence during these years, Washington can be seen evolving from a brash, vain, and opinionated young officer, impatient with restraints and given to writing admonitory letters to his superiors, to a mature soldier with a grasp of administration and a firm understanding of how to deal effectively with civil authority. Assured that the Virginia frontier was safe from French attack, Washington left the army in 1758 and returned to Mount Vernon, directing his attention toward restoring his neglected estate. He erected new buildings, refurnished the house, and experimented with new crops. With the support of an ever-growing circle of influential friends, he entered politics, serving (1759-74) in Virginia's House of Burgesses. In January 1759 he married Martha Dandridge Custis, a wealthy and attractive young widow with two small children. It was to be a happy and satisfying marriage. After 1769, Washington became a leader in Virginia's opposition to Great Britain's colonial policies. At first he hoped for reconciliation with Britain, although some British policies had touched him personally. Discrimination against colonial military officers had rankled deeply, and British land policies and restrictions on western expansion after 1763 had seriously hindered his plans for western land speculation. In addition, he shared the usual planter's dilemma in being continually in debt to his London agents. As a delegate (1774-75) to the First and Second Continental Congress, Washington did not participate actively in the deliberations, but his presence was undoubtedly a stabilizing influence. In June 1775 he was Congress's unanimous choice as commander in chief of the Continental forces. Washington took command of the troops surrounding British-occupied Boston on July 3, devoting the next few months to training the undisciplined 14,000-man army and trying to secure urgently needed powder and other supplies. Early in March 1776, using cannon brought down from Ticonderoga by Henry Knox, Washington occupied Dorchester Heights, effectively commanding the city and forcing the British to evacuate on March 17. He then moved to defend New York City against the combined land and sea forces of Sir William Howe. In New York he committed a military blunder by occupying an untenable position in Brooklyn, although he saved his army by skillfully retreating from Manhattan into Westchester County and through New Jersey into Pennsylvania. In the last months of 1776, desperately short of men and supplies, Washington almost despaired. He had lost New York City to the British; enlistment was almost up for a number of the troops, and others were deserting in droves; civilian morale was falling rapidly; and Congress, faced with the possibility of a British attack on Philadelphia, had withdrawn from the city. Colonial morale was briefly revived by the capture of Trenton, N.J., a brilliantly conceived attack in which Washington crossed the Delaware River on Christmas night 1776 and surprised the predominantly Hessian garrison. Advancing to Princeton, N.J., he routed the British there on Jan. 3, 1777, but in September and October 1777 he suffered serious reverses in Pennsylvania--at Brandywine and Germantown. The major success of that year--the defeat (October 1777) of the British at Saratoga, N.Y.--had belonged not to Washington but to Benedict Arnold and Horatio Gates. The contrast between Washington's record and Gates's brilliant victory was one factor that led to the so-called Conway Cabal--an intrigue by some members of Congress and army officers to replace Washington with a more successful commander, probably Gates. 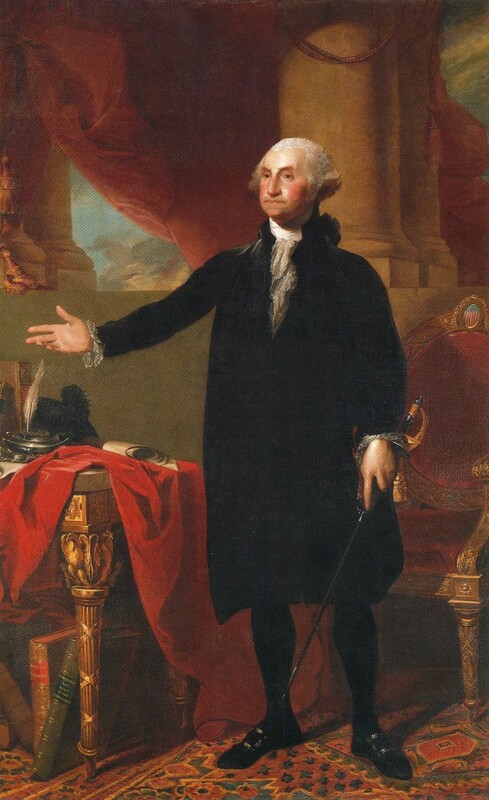 Washington acted quickly, and the plan eventually collapsed due to lack of public support as well as to Washington's overall superiority to his rivals. After holding his bedraggled and dispirited army together during the difficult winter at Valley Forge, Washington learned that France had recognized American independence. With the aid of the Prussian Baron von Steuben and the French marquis de LaFayette, he concentrated on turning the army into a viable fighting force, and by spring he was ready to take the field again. 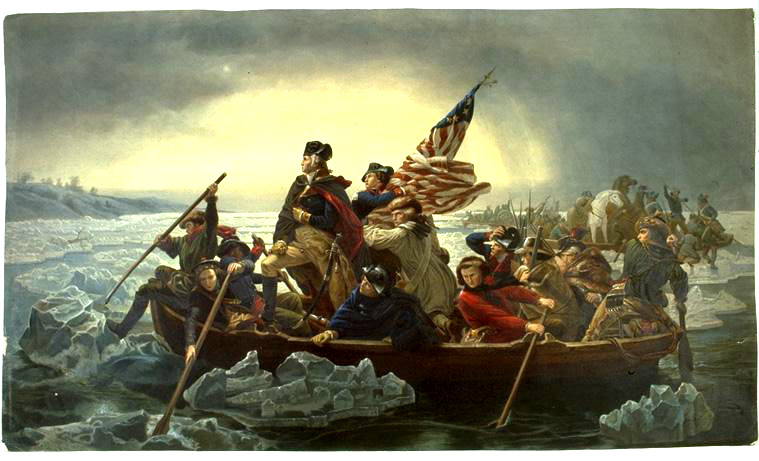 In June 1778 he attacked the British near Monmouth Courthouse, N.J., on their withdrawal from Philadelphia to New York. Although American general Charles Lee's lack of enterprise ruined Washington's plan to strike a major blow at Sir Henry Clinton's army at Monmouth, the commander in chief's quick action on the field prevented an American defeat. In 1780 the main theater of the war shifted to the south. Although the campaigns in Virginia and the Carolinas were conducted by other generals, including Nathanael Greene and Daniel Morgan, Washington was still responsible for the overall direction of the war. After the arrival of the French army in 1780 he concentrated on coordinating allied efforts and in 1781 launched, in cooperation with the comte de Rochambeau and the comte d'Estaing, the brilliantly planned and executed Yorktown Campaign against Charles Cornwallis, securing (Oct. 19, 1781) the American victory. Washington had grown enormously in stature during the war. A man of unquestioned integrity, he began by accepting the advice of more experienced officers such as Gates and Charles Lee, but he quickly learned to trust his own judgment. He sometimes railed at Congress for its failure to supply troops and for the bungling fiscal measures that frustrated his efforts to secure adequate materiel. Gradually, however, he developed what was perhaps his greatest strength in a society suspicious of the military--his ability to deal effectively with civil authority. Whatever his private opinions, his relations with Congress and with the state governments were exemplary--despite the fact that his wartime powers sometimes amounted to dictatorial authority. On the battlefield Washington relied on a policy of trial and error, eventually becoming a master of improvisation. Often accused of being overly cautious, he could be bold when success seemed possible. He learned to use the short-term militia skillfully and to combine green troops with veterans to produce an efficient fighting force. After the war Washington returned to Mount Vernon, which had declined in his absence. Although he became president of the Society of the Cincinnati, an organization of former Revolutionary War officers, he avoided involvement in Virginia politics. Preferring to concentrate on restoring Mount Vernon, he added a greenhouse, a mill, an icehouse, and new land to the estate. He experimented with crop rotation, bred hunting dogs and horses, investigated the development of Potomac River navigation, undertook various commercial ventures, and traveled (1784) west to examine his land holdings near the Ohio River. His diary notes a steady stream of visitors, native and foreign; Mount Vernon, like its owner, had already become a national institution. In May 1787, Washington headed the Virginia delegation to the Constitutional Convension in Philadelphia and was unanimously elected presiding officer. His presence lent prestige to the proceedings, and although he made few direct contributions, he generally supported the advocates of a strong central government. After the new Constitution was submitted to the states for ratification and became legally operative, he was unanimously elected president (1789). Taking office (Apr. 30, 1789) in New York City, Washington acted carefully and deliberately, aware of the need to build an executive structure that could accommodate future presidents. Hoping to prevent sectionalism from dividing the new nation, he toured the New England states (1789) and the South (1791). An able administrator, he nevertheless failed to heal the widening breach between factions led by Secretary of State Thomas Jefferson and Secretary of the Treasury Alexander Hamilton. Because he supported many of Hamilton's controversial fiscal policies--the assumption of state debts, the Bank of the United States, and the excise tax--Washington became the target of attacks by Jeffersonian Democratic-Republicans. Washington was reelected president in 1792, and the following year the most divisive crisis arising out of the personal and political conflicts within his cabinet occurred--over the issue of American neutrality during the war between England and France. Washington, whose policy of neutrality angered the pro-French Jeffersonians, was horrified by the excesses of the French Revolution and enraged by the tactics of Edmond Genet, the French minister in the United States, which amounted to foreign interference in American politics. Further, with an eye toward developing closer commercial ties with the British, the president agreed with the Hamiltonians on the need for peace with Great Britain. His acceptance of the 1794 Jay's Treaty, which settled outstanding differences between the United States and Britain but which Democratic-Republicans viewed as an abject surrender to British demands, revived vituperation against the president, as did his vigorous upholding of the excise law during the WHISKEY REBELLION in western Pennsylvania. By March 1797, when Washington left office, the country's financial system was well established; the Indian threat east of the Mississippi had been largely eliminated; and Jay's Treaty and Pinckney's Treaty (1795) with Spain had enlarged U.S. territory and removed serious diplomatic difficulties. In spite of the animosities and conflicting opinions between Democratic-Republicans and members of the Hamiltonian Federalist party, the two groups were at least united in acceptance of the new federal government. Washington refused to run for a third term and, after a masterly Farewell Address in which he warned the United States against permanent alliances abroad, he went home to Mount Vernon. He was succeeded by his vice-president, Federalist John Adams. Although Washington reluctantly accepted command of the army in 1798 when war with France seemed imminent, he did not assume an active role. He preferred to spend his last years in happy retirement at Mount Vernon. In mid-December, Washington contracted what was probably quinsy or acute laryngitis; he declined rapidly and died at his estate on Dec. 14, 1799. Even during his lifetime, Washington loomed large in the national imagination.